Today: Whether you're already a walnut devotee or you're in need of some convincing, you'll be tempted to make these five walnut-centric dishes from Melina Hammer of Licking the Plate. I've never been a person that goes wild for walnuts. They're a superfood, so you're supposed to like them. I dutifully buy walnuts in bulk and store them in one of those large hermetic jars (so they don't go stale, of course) and they stare back at me…quietly, like walnuts do. Figuring enough with this game of chicken, I set out to create walnut recipes I'd hunger for. And I succeeded: 4 steal-your-heart savory-ish recipes, and 1 knockout sweet one. 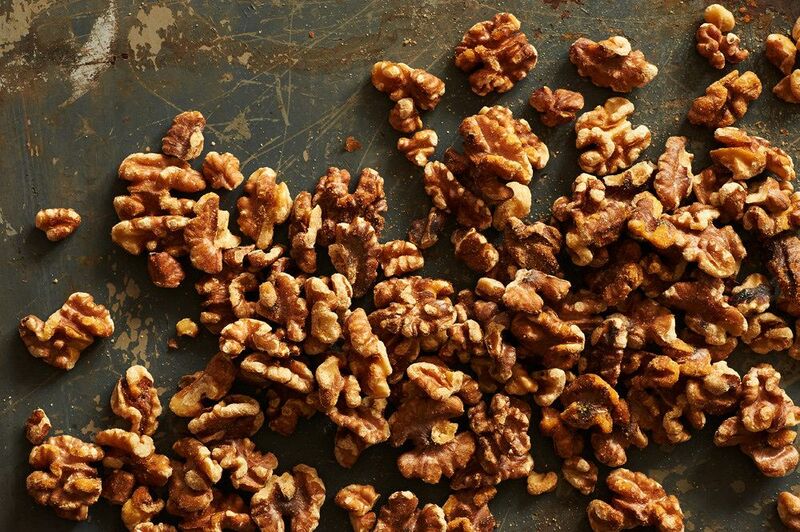 Now, you should go get yourself some bulk walnuts, too. Each of these recipes calls for toasted walnuts. Walnut skins can impart bitterness, but toasting them brings out a richer nuttiness and makes those skins easy to rub off. Roast your choice of squash in slices until caramelized (kabocha and kuri make nice candidates for their sweetness and dense flesh). Slice a few ribs of celery thinly on a mandoline. Add the seeds from a pomegranate, some olive oil, and your favorite vinegar (I used a mixture of Sherry and apple cider) along with a good scatter of sea salt and freshly cracked pepper. Toss together. Fry enough sage leaves for each person to have a few. Add sage and a couple handfuls of coarsely chopped walnuts to plates as you serve. If you want to be extra decadent, round out this dish with thin slices of blue cheese or crumbled bacon. 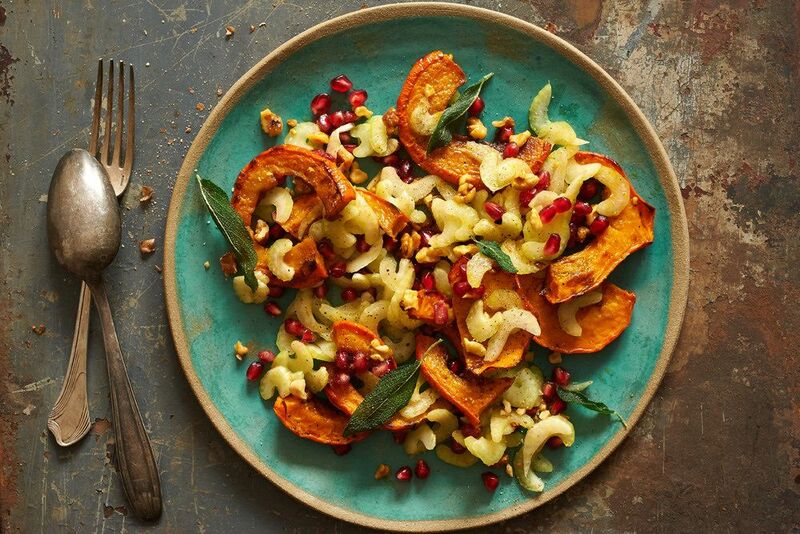 The juiciness from the pomegranate goes well with the meaty squash and walnut bits and the added crunch delivered by the celery and sage keeps the mouth happy. I recently scored a bunch of gorgeous, colorful beets from some farmer friends and decided to put the whole lot in to roast. Once the beets have cooled, peel and quarter them and give them a little olive oil dressing while they sit. 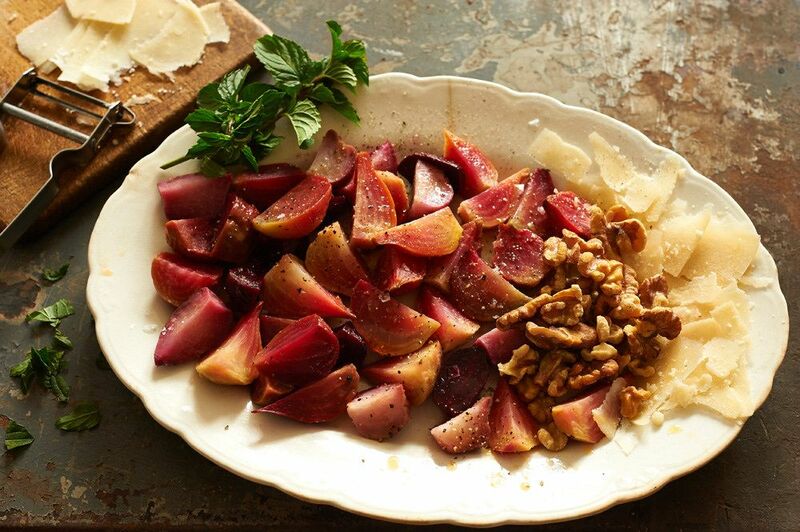 In piles on a serving platter, place the beets, a heaping amount of toasted walnuts, a bunch of torn mint (to your taste), and lastly, a good amount of shaved Parmigiano-Reggiano or Grana Padano. Squeeze half an orange over the beets, season with sea salt and cracked pepper, and dig in! This dish is sensual-looking at and even better tasting -- so easy to love. Here, walnuts impart a great texture to a tangy and creamy mixture. You'll want to slather this not-green pesto on everything. It has been on regular rotation in my household ever since I learned the recipe from the great chef Jody Williams. In the bowl of a food processor, combine at least two good handfuls of toasted walnuts, a good amount of shredded Parmigiano-Reggiano, leaves from 5 or so thyme sprigs, a small handful of sun-dried tomatoes which have been cut into thin ribbons, a few cloves of garlic, 3 to 5 glugs of good olive oil, and some drops of Sherry vinegar. Pulse just long enough for everything to be incorporated and then taste, adjusting seasonings as needed. It should look wet once blended. Make more than you think you'll want, as I've no doubt you'll gobble it up in no time. Once the vibrant paste has sat for a few hours, it's even better. Serve at room temperature and enjoy. 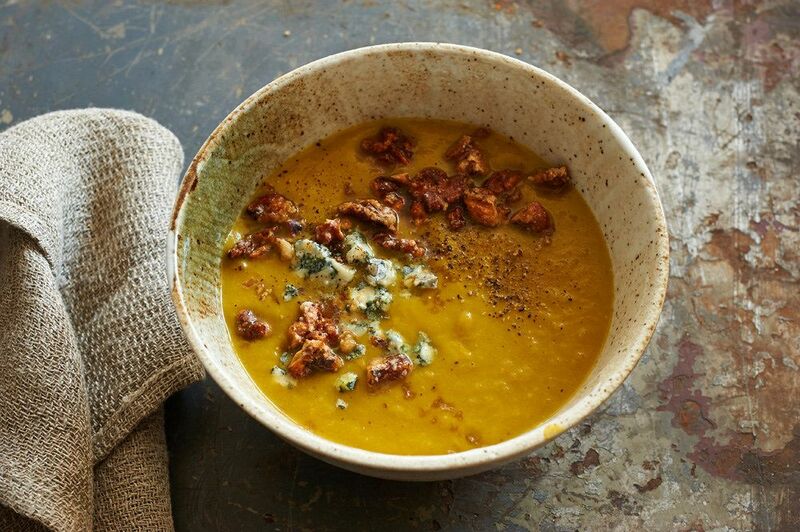 Roast a large peeled and seeded Hubbard squash for deep, caramel-y flavor. Sauté an onion and a clove or two of chopped garlic. In rounds, blend the squash and the onion mixture together with chicken (or vegetable) stock, until all is rendered a golden creaminess. (You can do this over the course of a couple days: I roasted the squash and onions on one day, allowed them to cool fully, and then blended them with stock I defrosted the following day.) In the same pot where you cooked the onions, pour in the puréed soup and add some of your favorite bourbon or brandy. Both will impart a special something -- it's really more a question of what you have nearby (or favor more). Grate some fresh nutmeg over top, then bring to a low simmer with the lid on as you prep the candied walnuts. For the walnuts: Toast them on a sheet pan in the oven. Cook organic cane sugar with just enough water to help the sugar dissolve, until melted, bubbling, and amber colored. Add in cayenne pepper to taste. Stir in the walnuts, then empty the sticky lot out onto a parchment-lined baking sheet. 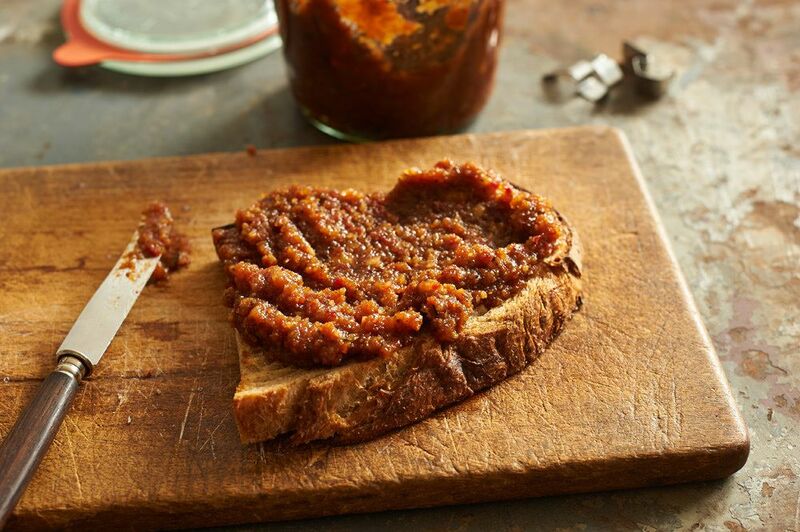 Toast them for a further 8 minutes or so and then pull any clumps apart with two forks. Add a scatter of sea salt for fun. Cool fully before sampling! Serve the soup in bowls topped with thin slices or crumbles of a great blue cheese; I used Spanish Valdéon blue and it was heavenly. Add a scatter of the candied walnuts and dive in. This is winter-in-a-bowl goodness. Be still my heart. 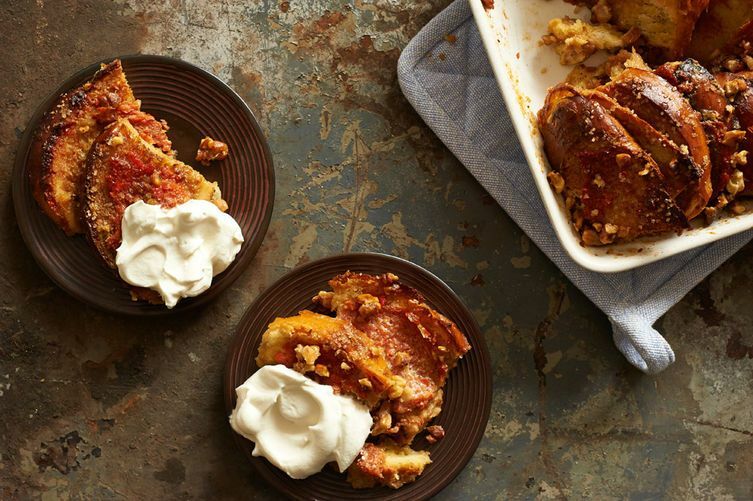 There is nothing not to love about this baked treat: bread pudding that is saturated and soft on the bottom with the crunch of cooked sugar and toast on the top. And in the middle, you ask? It's filled with creamy mascarpone, cooked fruit, and the zing of the lemon zest. Huzzah!